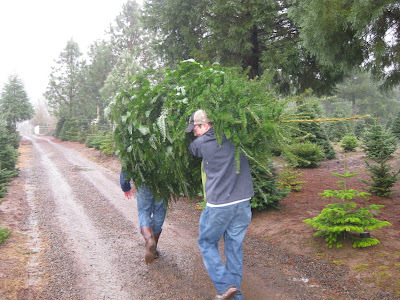 Tom and Beau carrying out the tree that Hunter picked. These pictures are out of order, but you get the idea. 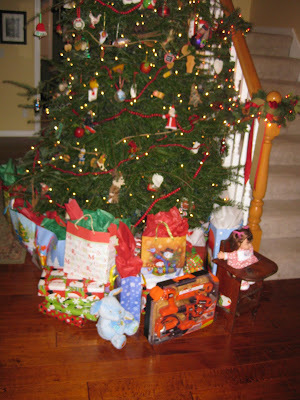 Here is the tree complete and as you can tell Santa has already visited. 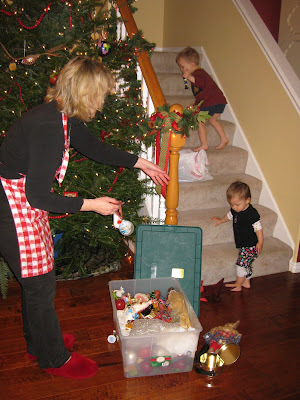 Hunter and Stella decorating the tree with Grandma or as Stella calls her, GaGa. Walking back after picking the PERFECT tree. 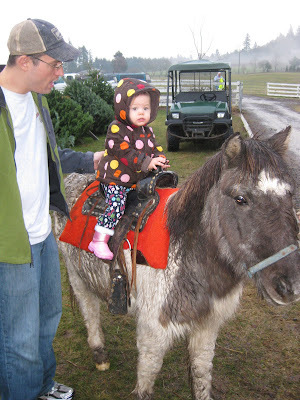 Yes, it was raining but this little girl LOVED it. 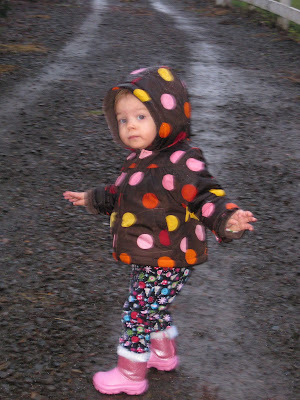 She would go searching for mud puddles and splash in them. I guess that's the Oregonian coming out in her. How cute is this? 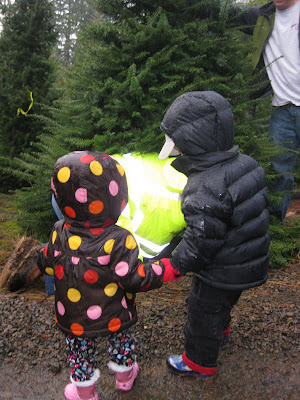 Hunter grabbed Stella's hand while they watched Papa cut down the Christmas tree. 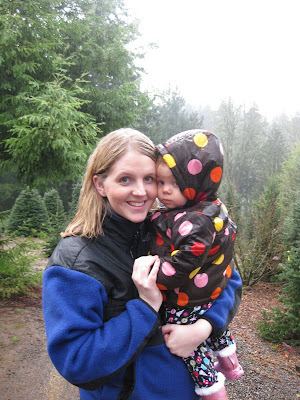 Taking a quick break while on the search for the perfect tree. 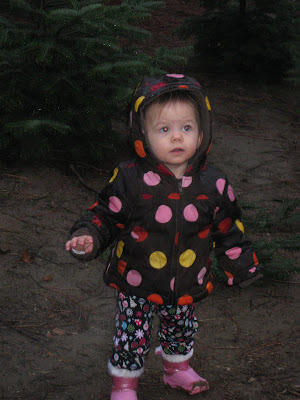 Stella was very independent on the search for the tree. 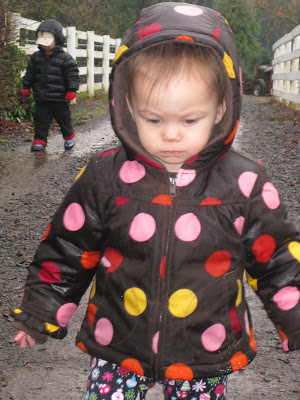 She did NOT want to be carried and walked through the mud and trees on her own and LOVED it. 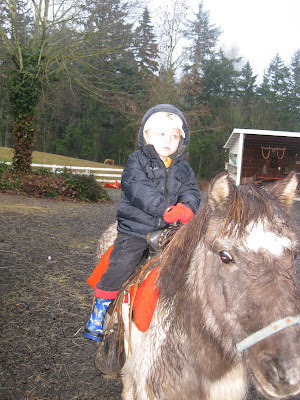 Hunter enjoyed a pony ride too.